Runs GREAT!!! Clean Car Fax History... 2-Owners... 9 Service Records... Automatic Transmission... Air Conditioning blows ICE COLD AIR!!! Cloth interior... Power Seat... Alloy Wheels... Power Windows and Power Door Locks... Power Mirrors... Good Tires... Good Brakes... This Vehicle comes with 90 Days or 4500 Miles Service contract... 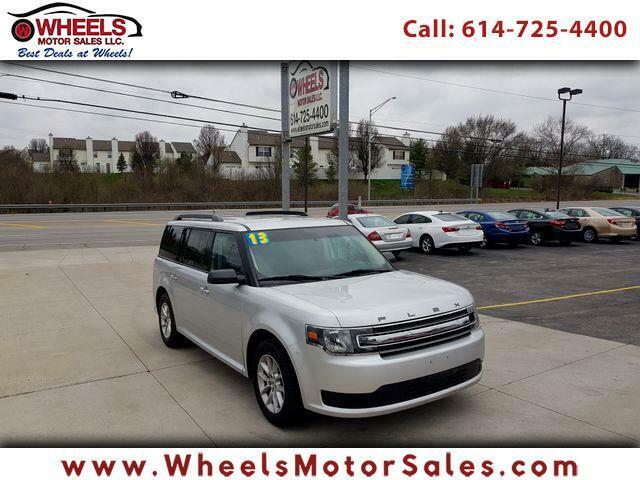 Call us at (614)725-4400, email us at sam@wheelsmotorsales.com and for BEST Financing Rates you can fill out the application ONLINE. We are located at 1188 Georgesville Rd. Columbus, Ohio 43228. Message: Thought you might be interested in this 2013 Ford Flex.